The authors apply methods and perspectives from several disciplines to explore the effects of Vietnam's economic development on various ecosystems, to offer a macromarketing view of sustainable development in Vietnam. An adapted version of the Sustainable Society Index was used to assess Vietnam's sustainability, how Vietnam's measures compare to other countries, with implications for future sustainable-development. Among several findings, Vietnam earns favorable sustainability ratings in absolute terms for water resources, healthy living, energy use, greenhouse gases, genuine savings, and employment. Ominously, Vietnam and some of its nearby neighbors post poor scores for energy savings and education. Going forward, energy savings, a well-educated population, and a coordinated marketing system will be required to ensure favorable sustainability measures. Drawing on macromarketing explorations of complex and interdependent systems, key factors are considered to redress unsustainable resource exploitation and degradation. Particular attention is given to the complexities and dilemmas inherent to waterways, such as the Mekong River Basin and Delta. The authors argue for multi-win goals, systemic understanding, stakeholder inclusion, and resolutions via cooperation and constructive engagement—including projects, products, services, and institutional leadership for best practices designed and administered to enhance sustainability and citizen/societal well-being. The authors thank Professor Tham Hoang and Professor Bryan Brooks, Senior Editor, and the anonymous reviewers for their support and help during the formative stages of the article. 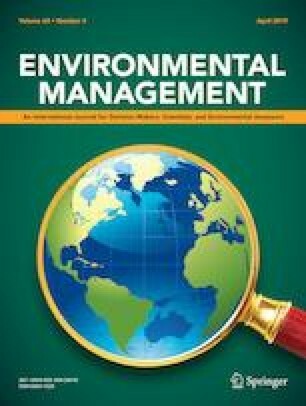 The authors received some financial support from Ha Tinh University to attend the International Conference on Environmental Management & Sustainable Development, at which many of the ideas articulated in this article were shared.